marian pulse: Jesus Youth Marian College. literature ministry brings - a saint for a student. initiative by Jesus youth Marian college. A new initiative called literature ministry named a saint for a student. 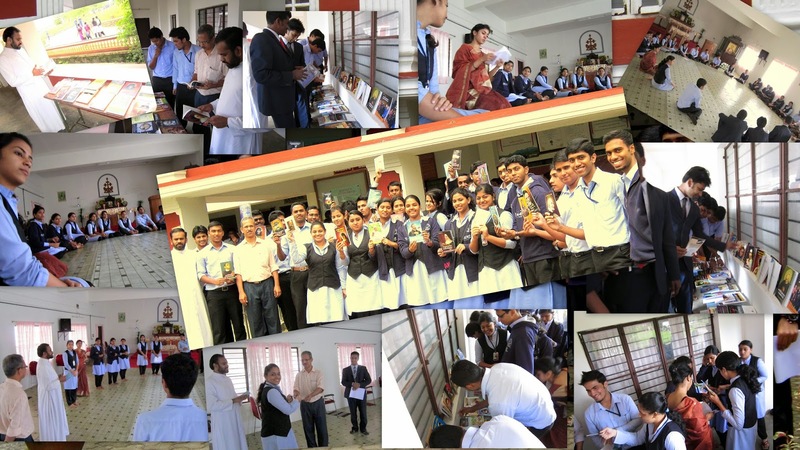 The purpose of the ministry is to distribute books of catholic saints to students. Around 116 books was collected for the purpose and it was inaugurated by Fr.james kozhimala.The distribution of the book also started yesterday.